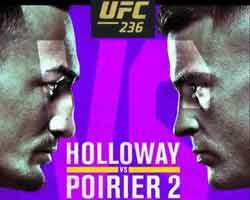 Review: 2013-07-20, pretty boring fight between Pedro Guevara and Mario Rodriguez: it gets one star. Pedro Guevara (19-1-1, 13 KOs) entered as the No.9 light flyweight in the world while Mario Rodriguez (15-7-4, 11 KOs) entered as the No.3 minimumweight. 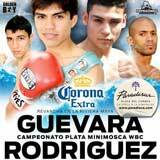 Guevara vs Rodriguez 2 is valid for the WBC Silver light flyweight title (their first fight ended in a draw – May 28, 2011). Watch the video!